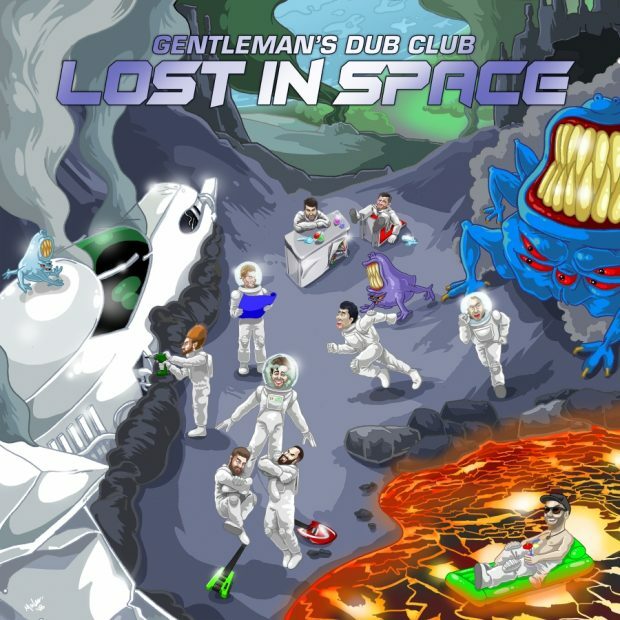 Gentleman’s Dub Club are a staple dub eight-piece outfit based in London who produced their debut album Open Your Eyes in 2012. No celebration of Jamaican music and its diaspora would be complete without a couple of GDC anthems blasting through the sound system. I spoke to singer Johnny Scratchley ahead of the band’s latest visit to London culminated with a sold-outshow at The Electric Brixton. Reggae, ska and dub are an integral sound for the band. I was wondering if you could tell us a little bit about what Jamaican music and sound system culture means to you personally and within the band? “Most of it, to be honest, did come from specifically within those genres and most of it came from us discovering the music together, and like I said, that was sort of through ‘Subdub’ to begin with; a dub sound system evening hosted by Iration Steppas who brought in these big dub rigs from around the country and got others to clash their sound system. 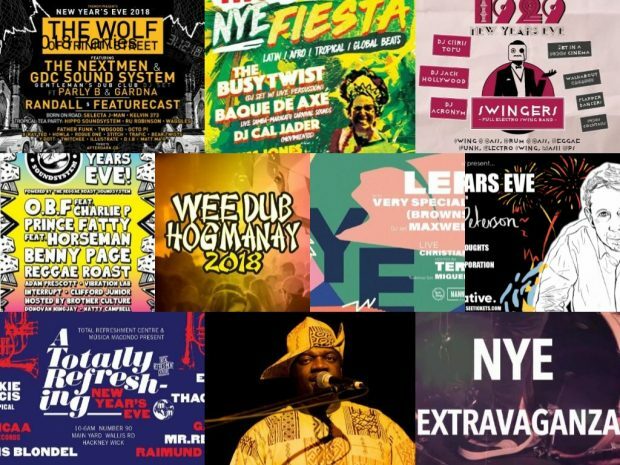 Also, through the artists that they brought up at these nights, people like Jah Tubby and Nucleus Roots, and then they’d be playing tunes from people like The Twinkle Brothers playing live and Lee Scratch Perry… He came over and played live. So they had a mixture of Jamaican artists coming over to play, and in the UK more sort of underground sounds and through that, we just explored more and just enjoyed listening to those sorts of styles. “Well we have eight people on stage, and then we all play on the records, and so the rhythm section in the reggae band is always the beats (drums) and the chords and the bass. That’s generally like the bedding of all of the tracks, and so on this last album (Lost In Space) which is fairly unique, it was quite an interesting process for us to go through, and we’re pretty happy with the output. The whole concept of the album started when I wrote a story. I guess the next question should be, have you found the perfect bass line, and where was it? ‘Stardust’ (a single from the upcoming album) has an amazingly creative and image provoking video. For me, the impression was that it was a representation of what’s going on in these crazy, space exploring imaginations. What was the focus or aim for this video? “Hell yeah… They’re all wicked! We actually played in Morocco a year and a half ago, and there was a different type of skanking that they do. It was a lot less knees… it was more sort of like a sea of people doing the pencil: sort of bobbing up and down, jumping up and down as high as they could. Yeah, they have a different vibe; a full central square of pogo sticks, and so it’s a different vibe… But, you know, that’s got to be the most captivating element of being in this band – performing live – you create a point with every audience. “It’s just so easy, the music, it’s like, we enjoy laying it, and so it seems that sort of filters through to an audience. 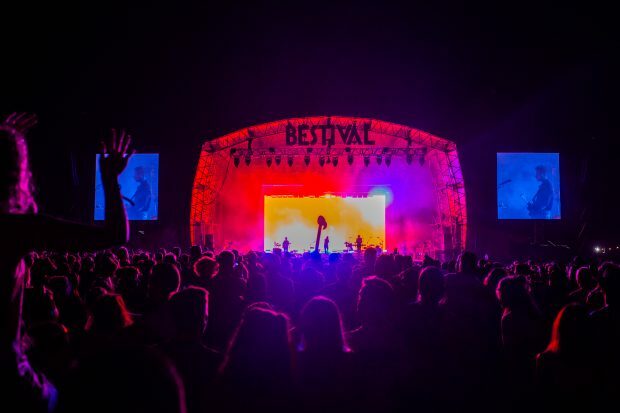 So wherever they are, if you’re playing to a mixed crowd early in the afternoon at a festival set with, you know, six-year-old to sixty-year-old, with families – Bestival, say – that’s really nice. It’s just like, you create that connection with an audience, and they’re all unique. I don’t think it makes much of a massive difference at all, location. For me, ska and reggae and dub, it’s a community music, and I think part of the pleasure of seeing bands play live is that you see that connection between the band on stage that is shared with the audience through the skanking (dancing) and such. But do you guys have songs that you feel obliged to always play live, or that you definitely wouldn’t play live anymore? I think that’s a great debate: people buying tickets to go see bands they love, then feeling disappointed in the act if they don’t play “the classics”. “We’re playing in Leeds on this tour, where we’ve played loads at the uni up there, so that will be a bit of a homecoming. But yeah, London kind of feels like our real home. I mean, Leeds is a transient student based audience, so it’s the venue rather than the people that remain the same, but in London, you can always really feel an energy.